I'm so happy that some ELF Studio items are now available here in Cebu. 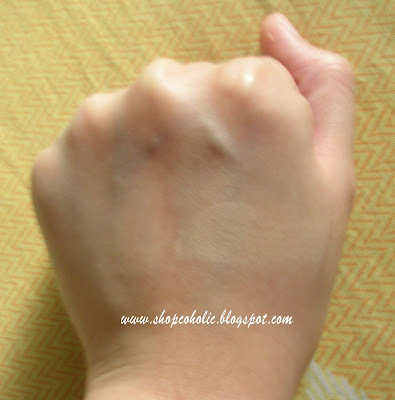 Saw this foundation and I immediately tested this on my hand! I was amazed at the coverage and texture. I even asked the SA what foundation she's using coz her skin looked flawless, and she said she's using this! This dual foundation can be used wet for a creamy full coverage or dry for a sheer coverage. The SPF 15 formula combats premature aging and protects against sun damage. 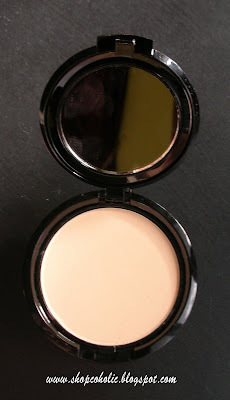 The easy to blend lightweight formula is great for all skin types and gives a natural looking finish for all day wear. APPLICATION TIPS : Apply prior to sun exposure. For a sheer coverage, use the sponge dry. For a fuller coverage, dampen then the sponge applicator with water to apply the powder wet. WEIGHT : 8.5 grams / 0.3 oz. SHADES : Available in 4 shades. I got the BEIGE shade - it matches my NC20-25 skintone. * Sorry I forgot the other shade names. I tried to search online but can't find any info. * i'm surprised that the powder is finely milled! * compact has a separate sponge compartment like MAC Studio fix. 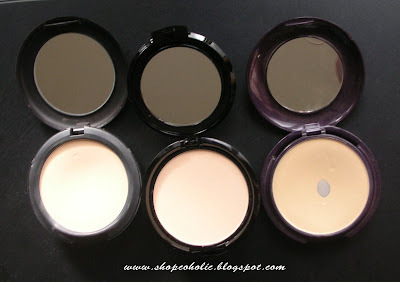 * compact made of cheap plastic (but it doesn't bother me that much, as long as the product works! * the sponge provided is made of latex? it smells bad hehe. Make sure to wash it first before using. Use blotting paper/tissue first to absorb the oil on your face before retouching, and to prevent your makeup from caking. Wash the sponge frequently and replace it when it starts to crumble. You can also use a Powder brush to apply this if you want to a sheer coverage or a Flat top brush for a medium coverage. wow! congratulations on hitting the pan! This is from the Studio line right? khymm yellow undetone ba siya?? do you have acne problems at all?? im actually searching for some inexpensive powders to try out but I am always worried because my skin is really acne prone!! @ Lisa J- i think its from the studio line based on the packaging. @shobe - the beige color has a slight yellow undertone, while the next darker shade, its for NC30 skintones I think with more yellow undertones. 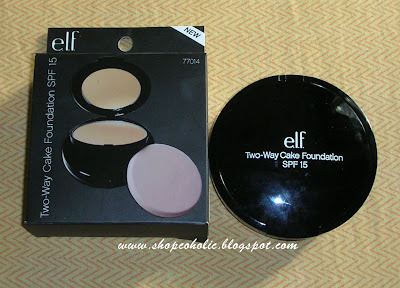 @electronicfly - tried to search ELF's site but I can't find this product too..
@pankeke - have you tried Pigeon pressed powders? They're hypoallergenic (made for babies), maybe it will work for you. Wow! Another grat stuff by ELF! Sounds so good! Khymm, thanks so much for this info. Where in Cebu, please? SM? Ty again. @ jo.frougal - bought it at an ELF stall in Metro ayala. I run two blogs under the same profile. :) I can't wait to see all your new posts! hi ms. khymm! thank you for this review... il be in cebu nextweek! hope i can drop by metro. :) for you, which one will u recommend, this one or the avon simply pretty? why? thanks Ms. Khymm!